Christopher Hitchens, the political writer, commentator, and avowed atheist passed away last week at age 62 after a long bout with cancer. And then, although it may sound like the start of a joke, this atheist went to Heaven. How is it that someone who teaches and advocates for the Gospel of Grace and Peace as much as I do could be in such agreement with an avowed atheist?! Here’ how…Long before the Gospel stabilizes one’s heart it must first dismantle the irrational but widely accepted conclusions of Christianity and religion. Hitchens’ statement that a prayer cannot save the soul, meaning ones eternal destiny, is more rational than anything ALL the evangelists combined on planet Earth are saying, that’s for sure! The voice of the rational is never heard immediately. The rational is not heard until the voice of the irrational and absurd has been followed mindlessly to its most devastating and destructive conclusion. History is replete with examples. Only a very few hear the voice of reason and bring to a halt the insanity and devastation mid-process. The rational voice is eventually heard and becomes conventional thought only by its consistent, persistent, repetitive nature. It refuses to go away. And it happens not because it shouts louder or rebuts every misguided statement of the irrational. It is eventually heard and adhered to simply because it is there, that it exists. Rational thinking can come from any place and any person’s heart at any given time. Yet, rarely does it emanate from a mind dominated by religious thought. Even though Christopher Hitchens did not believe in God, his statement about the power of prayer to effect eternity is according to the Gospel 100% accurate. Once he took his last breath he was confronted with the reality and enormity of the work of the Cross. And he now knows that the God he did not believe in loved him desperately and without condition. 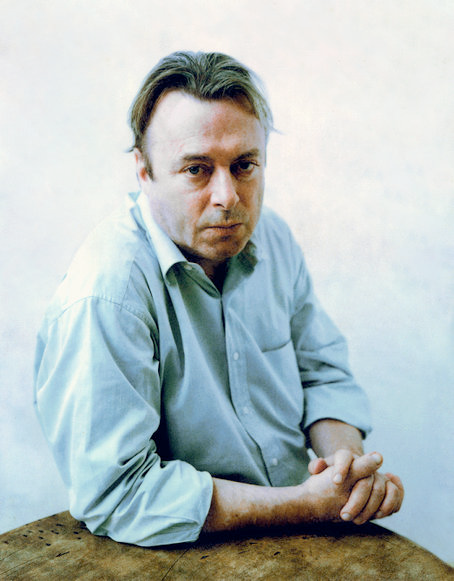 And Hitchens also discovered upon his entrance into Heaven that he was totally right about his stance on prayer and belief, that an incantation could not change his eternal destiny. Still, his stance did not mean he did not have an eternal destination. He just didn’t know it! For 20 years now I have been influenced by the rational reality of the Gospel regarding “the end of the world.” I have declared for decades that “the end of the world” would not happen. And I based my definitive statement with the Scriptural evidence. I have been right ever time! But, as of yet, my stand has been relatively ignored and unheard. Now as we approach 2012, have you heard? This is going to be the last one that humans will be here. 2012 is the end of the world, again! Really? Will my voice be heard amid the irrational clamor? Maybe not this time, but will it eventually? Without a doubt! Why? Because that statement, that rational verifiable statement, is out there. Thank you so much to those of you who have supported this effort financially and otherwise this past year. It has given us a greater opportunity to speak rationally into this sea of confusion.